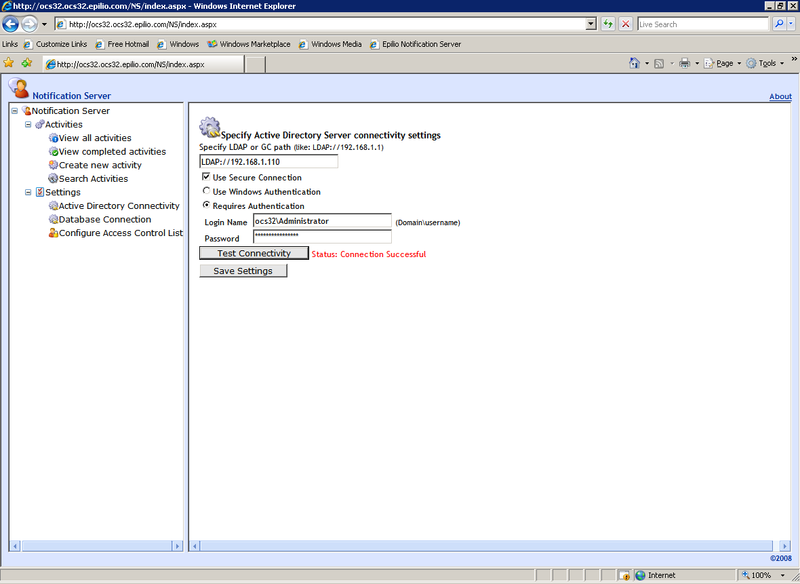 Epilio Notification Server for Microsoft Lync and Office Communications Server (OCS) works seamlessly with your existing Lync/OCS infrastructure and clients. Enabling the quick and efficient distribution of notification messages to any Microsoft UC client, be they desktop or mobile. 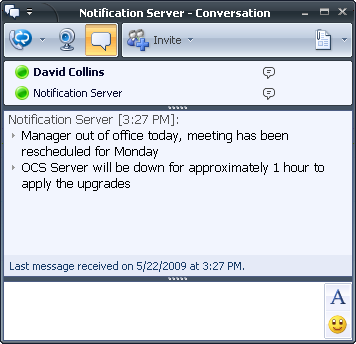 Notification messages can be scheduled to be sent immediately or at predetermined times. 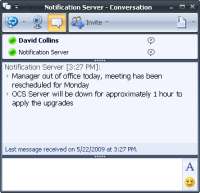 Notification server offers automatic rollback to email if a users is not currently logged on, and the option to notify the user as soon as they reconnect to the Lync/OCS server. 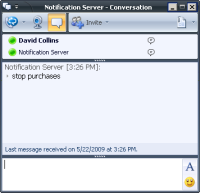 Notification server also can deliver messages that require feedback from the end users, maybe a confirmation that they have received the message. 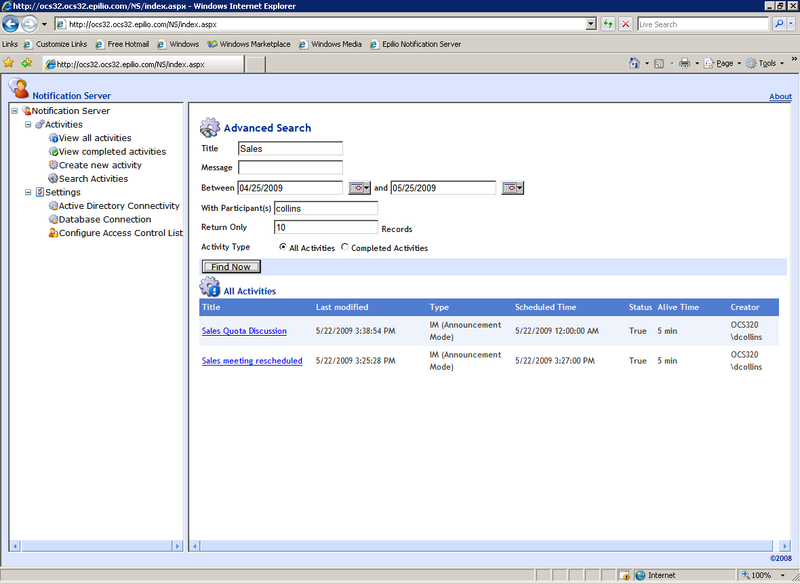 All tracking and status of messages is presented in a clear and easy to use web interface. 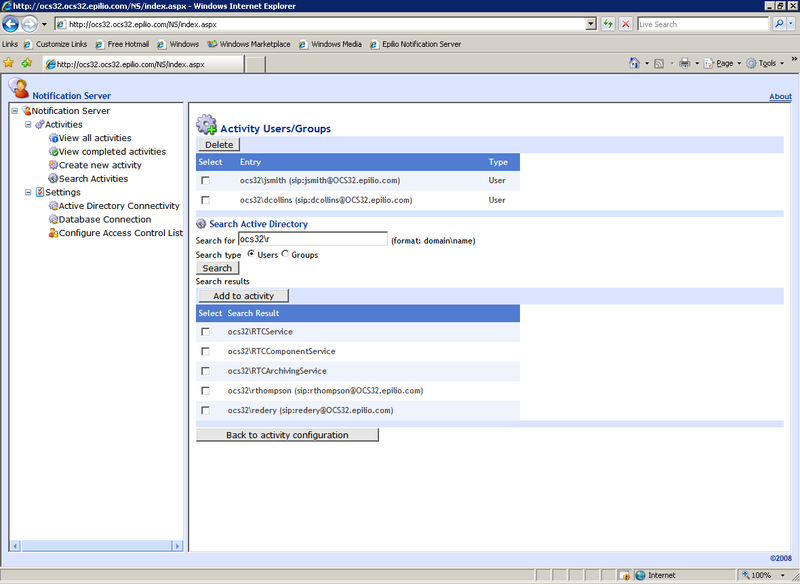 Epilio Notification Server is fully programmable, offering web services so that other applications can call the Notification Server to send messages on their behalf. 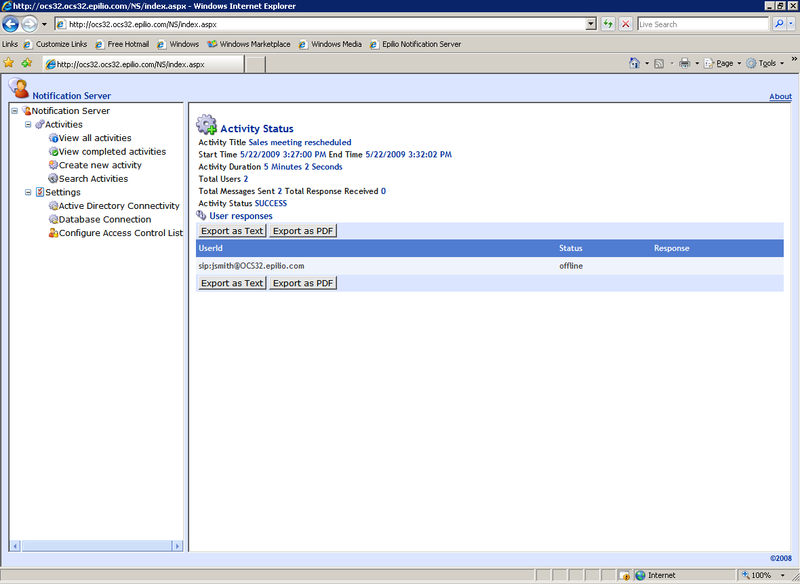 Notification Server doesn't require any changes to your network or protocols in use, it uses the regular Microsoft Lync/OCS ports. 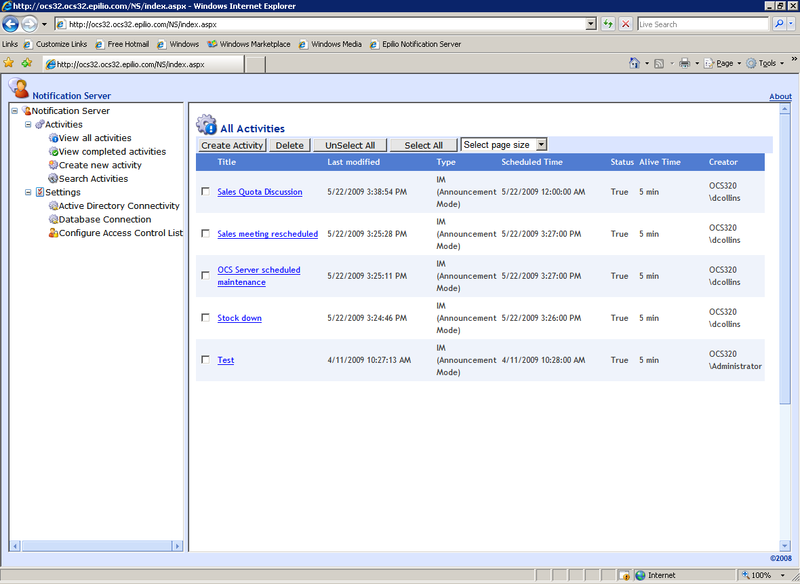 Notification Message activities are created and managed through the Notification Server web application. 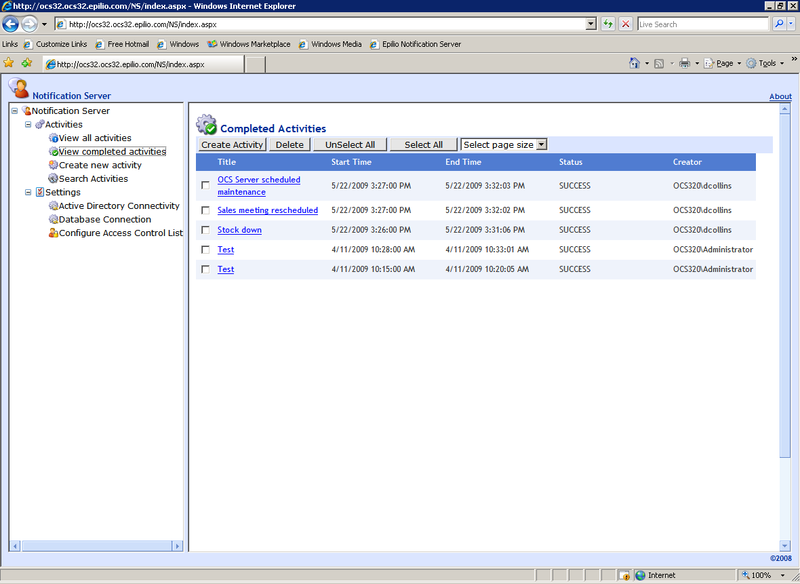 Users with the necessary permission can easily schedule messages to be sent to OCS users. 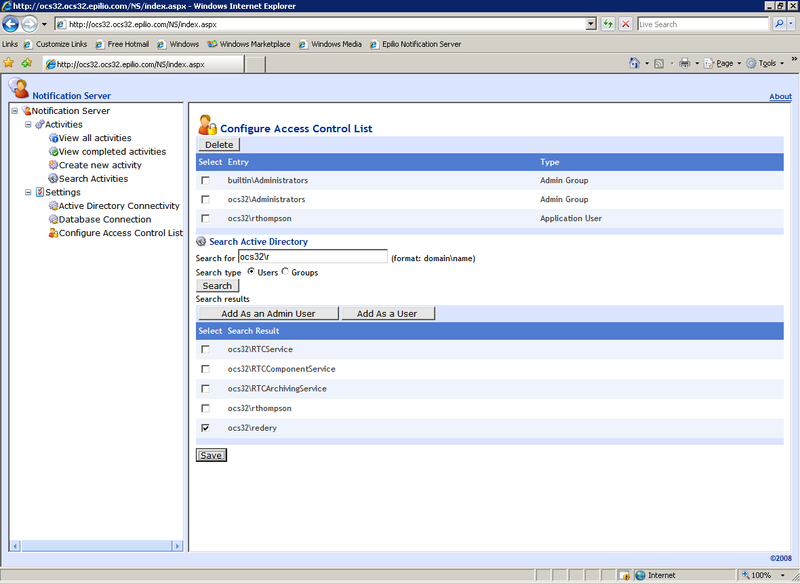 To install the Epilio Notification Server is simply a case of running the installer and configuring settings in the web configuration. 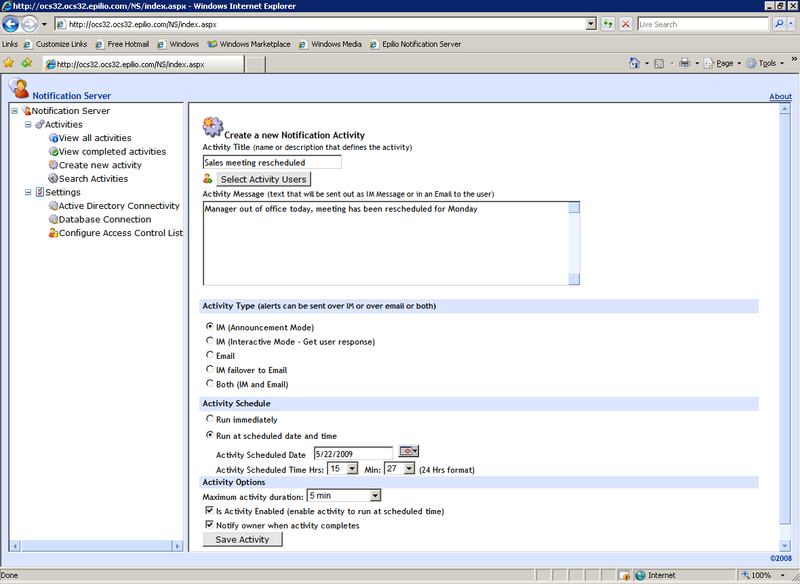 Notification Message activities offers a number of ways for viewing the status of notification message activities. Epilio Notification Server is priced per user. For a full pricing sheet, please contact our sales department.